For the next few weeks we’re going to be unpacking the four main themes of Advent Conspiracy: Spend Less, Give More, Love All & Worship Fully. 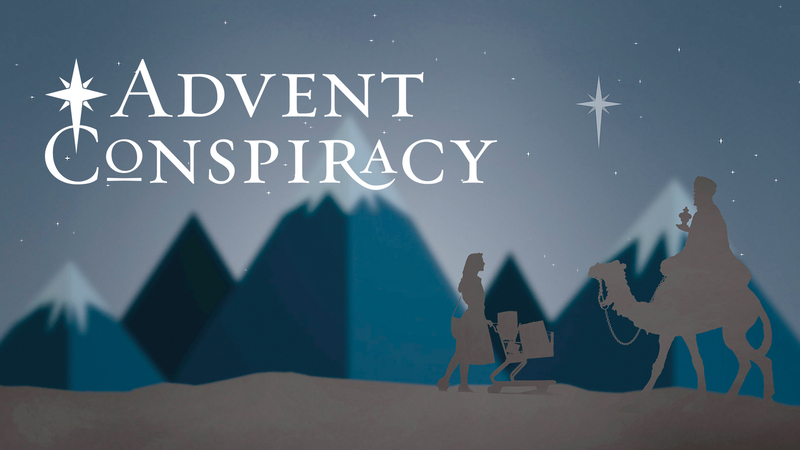 Advent Conspiracy is about reclaiming the power of Christmas to change the world. One of our main goal is to spend less on excess gifts so we can pool our resources to do something great Our church-wide Advent project is going to help one of our Justice partners, Open Arms International, become more self-sustainable by installing solar paneling. So, instead of buying gifts people won’t use, think about putting that money towards providing power for a medical clinic, kitchens, worship services, classrooms and hot water. We will be taking a special Advent Conspiracy offering throughout the month of December. Join us as we take back the sacredness of Christmas this year.